After a Vermont repairer’s Rockwell hardness test of CAPA radiator supports revealed the parts to be stronger than the Subaru and Toyota originals, CAPA defended its testing and said it had decertified at least one of the components. In an email Monday to CAPA operations director Deborah Klouser, and numerous collision industry leaders, Parker’s Classic Auto Works owner Mike Parker said he vetted the “like kind and quality” nature of CAPA-certified aftermarket radiator components by buying and using a $2,200 Ames Rockwell hardness tester. Such equipment’s findings can be converted to tensile strength, and Parker said he found a CAPA-certified upper tie bar of a Subaru and Toyota Tundra lower radiator support to be roughly 16,000 psi (110 megapascals) stronger between the two parts and their OEM counterparts. Too strong can be just as problematic as too weak in vehicle design. For example, OEMs use “crush zones” built into the front of a vehicle or “soft zones” in an otherwise ultra-high-strength steel part like a B-pillar or rear rail to manage crash energy and protect occupants. Also, differences in strength can affect airbag timing if the parts are used by airbag sensors. “In my response I indicated that if you believed that the two CAPA Certified radiator supports that you referenced (or any other CAPA Certified part) were not comparable to their car company service counterparts, that you should submit a CAPA Quality Complaint so we could evaluate the parts in question,” she wrote. 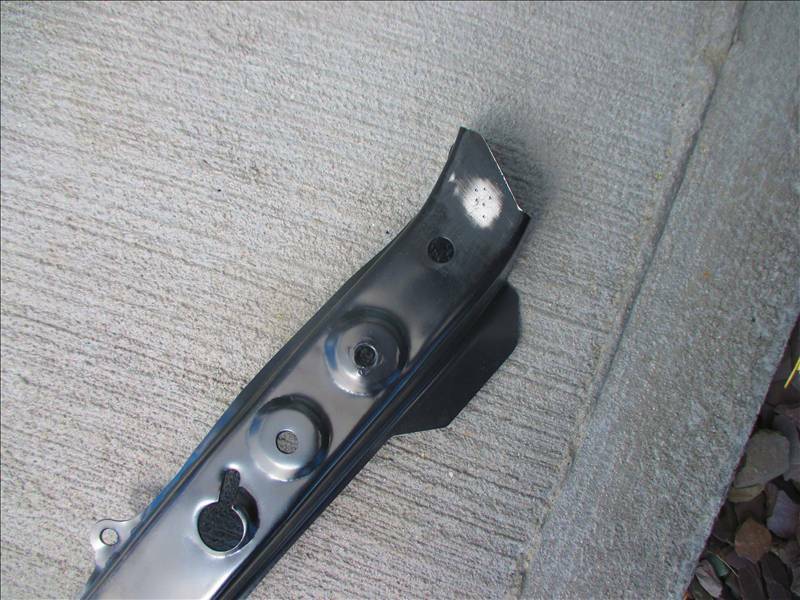 The issue of the Subaru upper radiator tie bar’s quality was actually raised by an insurer in May 2015, according to Klouser. She said CAPA asked for the part, but didn’t get it and so bought their own from the market. CAPA’s May 4, 2015, weekly update does list the Auto Power part as decertified. We contacted Parker about the timing of when he bought the part and the tie bar for the Tundra and he said he was researching it and would respond to the list. Obviously, if the insurer demanded the part or a vendor sold it after the decertification date, that’s bad news. CAPA in this case only decertified particular lots of the bar — 07/13A and 06/14A — not the entire production run. 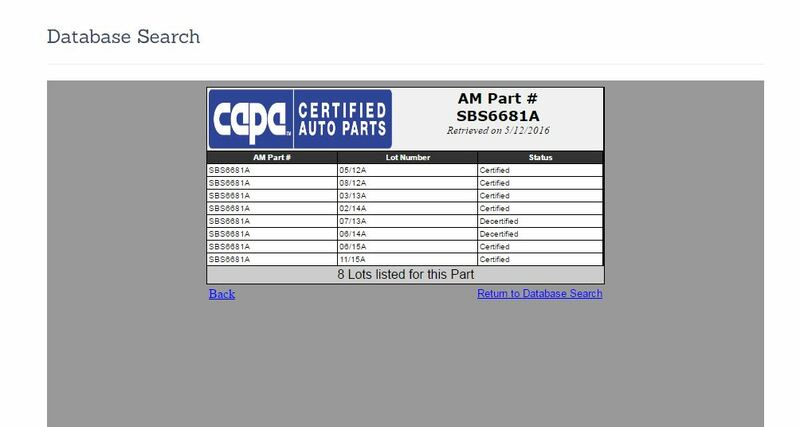 It’s unclear if the lot numbers are references to specific months and years — which would perhaps give a sense of how long decertified parts had been installed on vehicles — and we’ve asked CAPA for more details. Klouser urged Parker and everyone else with a faulty part to contact CAPA and submit a complaint; the organization said it’d like to buy the parts. Submit a CAPA complaint here. 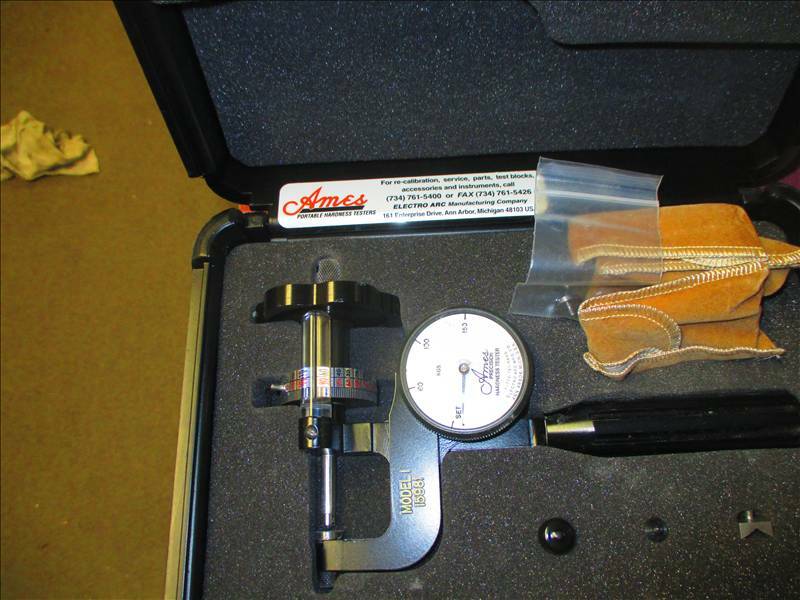 Klouser also questioned the accuracy of using a Rockwell hardness reading converted to yield strength, even though it appears from the decertification that Parker was correct. One repairer responded to the email chain, questioning the use of the word “mimic” and why the impetus should be on the shop to file complaints. We asked Klouser to see if CAPA is planning to improve its random inspection program besides simply responding to complaints. She responded by reiterating the details of the CAPA program. Klouser hasn’t responded to Cobb, but her earlier email pointed to the CAPA Technical Committee’s role in determining LKQ. Four of the 18 members of CAPA’s Technical Committee are collision repairers — Don Feeley of City Body & Frame, Jared Humphrey of Service King, Bob Keith of CARSTAR and Mark Sanders of Caliber. Four are insurers, four are manufacturers, three are distributors, and three are at-large members. The at-large members include Dan Risley, head of the Automotive Service Association; Rod Enlow, head of RENlow Auto Technical Consulting and a former CCAR and USAA employee; and LNS & Associates President Nicholas Scheid, who has worked for Cornerstone Auto Parts and AutoTech Plastics. Even if the at-large members and repairers voted as a bloc, it’d be 11-7 in favor of parties interested in seeing the most parts possible certified. Klouser also invited him and anyone else to tour CAPA’s facility in Grand Rapids, Mich.
About 75 percent of aftermarket parts aren’t certified, CAPA Executive Director Jack Gillis told a Morning Call columnist in 2015. Given the problems reported with certified parts, insurers, customers and shops should really think hard about what else is being sold, ordered, and driving around out there. Correction: An earlier version of this report incorrectly identified a part lot number. 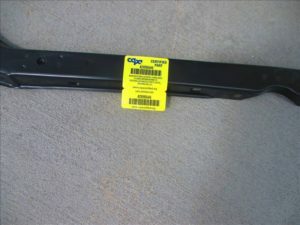 CAPA decertified lots 07/13A and 06/14A of a generic Subaru radiator tie bar from Auto Power, and the article has since been updated to reflect this.